Actor-comedian Nick Cannon has spoken out about TV host Wendy Williams, whom he's filling in for on her talk show while she's focusing on her health. On Monday, Feb. 4, 2019, Cannon hosted The Wendy Williams Show, and, at the start of the program, he revealed that he'd communicated with Williams. "I talked to her," he told audience members and viewers alike. "And honestly, she sounded amazing y'all." He recalled, "We jumped on the phone and first thing she said, 'Nick Cannon, how you doin'?" Cannon, 38, noted, "I didn't know what to expect at first, but her spirit was so big, it was so amazing." Williams, 54, previously fractured her shoulder and had been hospitalized for complications related to Graves' disease, as reported by Page Six. According to the Mayo Clinic, Graves' disease is "an immune system disorder that results in the overproduction of thyroid hormones." Symptoms of the condition can include anxiety, tremors, fatigue, and more. The disease can potentially lead to heart disorders, accelerated hyperthyroidism, and osteoporosis. Sharing that he had a conversation with not only Williams but also her husband, Kevin Hunter, and their son, Cannon seemingly denied rumors that Williams and her spouse were headed toward divorce, stating, "They said they all good. The love and the passion is still there. Cause that's what you need at times like this, is your family to stick together with you." Cannon added that things "got a little emotional," saying, "When I spoke to her, she just said she feels y'all's love, you know what I mean? And she knows there are probably a lot of questions that haven't been answered and stuff but, as someone who also deals with an autoimmune condition … I know when you go through these things and these flare-ups and stuff, you never know. It's day by day, y'all." Cannon was diagnosed with lupus in 2012, after experiencing blood clots and kidney failure (via WebMD). "She sounded so strong. She wanted to thank each and every one of you," Cannon went on. "We was tearing up and everything because she said something to me that was actually really powerful. … There can be negativity out there and she hears the things that people are talking about, about her family unit and all of what's going on and she was like, 'You know what, we don't want to bring that negative energy when you're trying to heal.'" Cannon also told fans that Williams had said, "Have fun but don't get too comfortable because I'm coming back." As noted by Page Six, Williams has been away from her TV show since the program went on holiday hiatus in December 2018. The return of her show was delayed multiple times, as she was dealing with a fractured shoulder. It was later reported that Williams, who'd previously worried fans when she slurred her words on the air, had been hospitalized due to her Graves' disease. "Wendy will be under the strict supervision of her physicians, and as part of her care, there will be significant time spent in the hospital," a statement from Williams' family read at the time. "Despite her strong desire to return, she is taking a necessary, extended break from her show to focus on her personal and physical well-being." Rather than continue to air reruns or broadcast the show with "a panel of 'Hot Talkers'" in Williams' place, The Wendy Williams Show has found substitute hosts to fill in while Williams focuses on her health, as Page Six reported on Feb. 1. 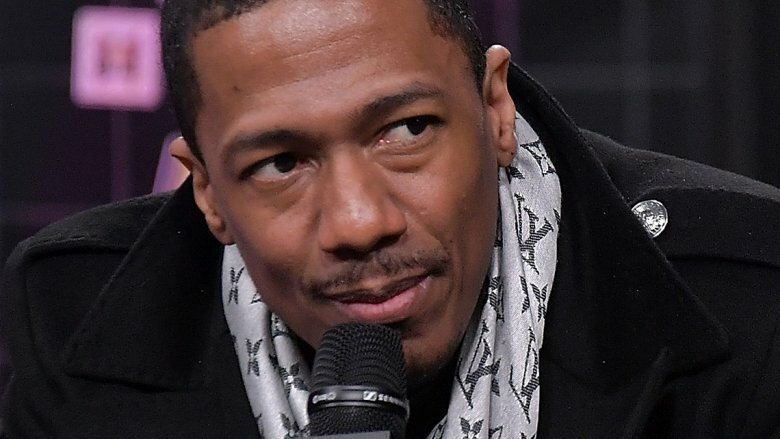 Nick Cannon started hosting on Feb. 4, and he'll continue until Feb. 6. After that, American Pie star Jason Biggs will host on Feb. 7, and Scream Queens actress Keke Palmer will take over hosting duties on Feb. 8. The next week, former The View co-host Sherri Shepherd will host on Feb. 11 and 12, while comedian Michael Rapaport will take her spot on Feb. 13. Actor and TV host Jerry O'Connell will then take the reins for Feb. 14 and 15. 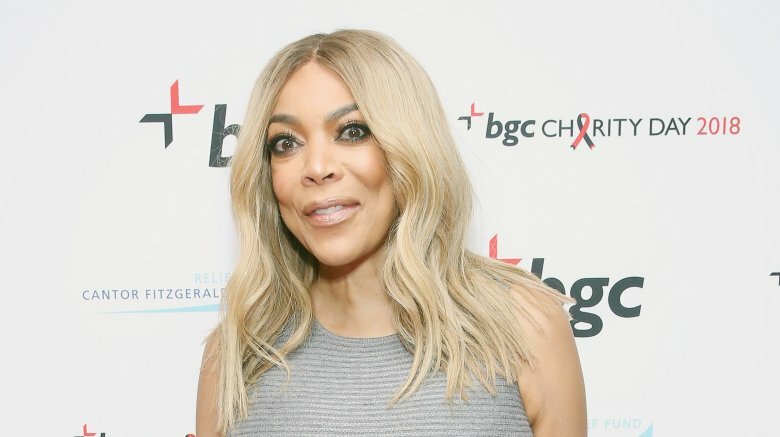 We hope that Wendy Williams continues to focus on her health over the next few weeks because, as much as we love watching her on the small screen, we'd rather her take time for herself to just focus on getting well.